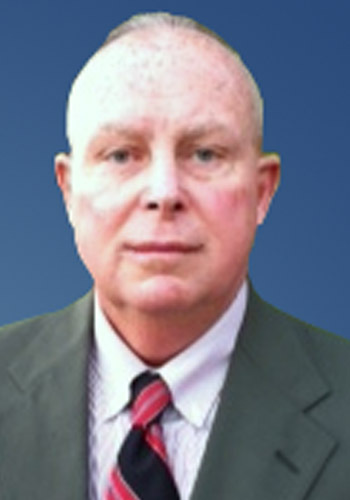 Bernard H. McLaughlin Jr. - Mediator & Arbitrator based in Lake Charles, Louisiana. If you’d like a list of available dates for Bernard McLaughlin, please submit a request below. You will hear back directly from Bernard 's assistant, Jeannie Daniels. McLaughlin was an Environmental law professor at McNeese State University from 1984 until 1986 and an International law instructor for U.S. Department of State ATAP (Anit-Terrorism Assistance Program) from 1995 until 1997. He served on active duty with U.S. Army during Operation Desert Storm (1990-1991) as a Judge Advocate Officer with 5th Infantry Division, 2nd Armored Division, and III Corps. He was awarded the Bronze Star Medal for his service in Operation Iraqi Freedom from 2004-2005. He has been part of Operations Noble Eagle and Enduring Freedom from Septemer 2001 til present. He is a certified mediator with over 3,800 cases mediated in Louisiana, Texas, Tennessee, Arkansas, Alabama, and Mississippi, Florida Pennsylvania, Ohio and Kentucky. He is currently engaged in the practice of law as a full-time mediator in Lake Charles specializing in insurance and personal injury, admiralty and maritime, 18 wheeler, railroad, premises liability, products liability, government liability, medical malpractice, architect and contractor liability, pharmaceutical and medical device, aviation, oilfield remediation, environmental, oil and gas, sexual harassment and discrimination, toxic exposure, health care, and business/corporate mediation. General School, Basic and Advanced Officer Course, Charlottesville, VA, graduate, Combined Arms and Services Staff College, Ft. Leavenworth, KS. Graduate with honors. McLaughlin has practiced in all state and federal courts in Louisiana, Federal Courts for the Eastern and Southern Districts of Texas, Fifth Circuit and Eleventh Circuit Courts of Appeal of the United States Courts of Appeals, all military trial courts, U.S. Court of Military Appeals, U.S. Court of Military Review, United States Court of Armed Forces Appeals, United States Court of Veterans Appeals, and United States Supreme Court. He is a member of the Association for Conflict Resolution, Fellow of the International Academy of Mediators, Fellow of the National Academy of Distinguished Neutrals and Fellow of the American College of Civil Trial Mediators. McLaughlin is also a certified EEOC mediator. AV-rated, Martindale-Hubbell. Listed in Best Lawyers in America, 2011-2014. Call office for rates info.